Why not? When the opportunity to live in Las Vegas for a year presented itself, I remember the initial fear. But I knew that it would be very good for me to see another side of the world, to see if I flourished or failed. I had a fair idea that Las Vegas would be a challenging experience. I was extremely comfortable in Melbourne, and very attached to my routine there. I used to be pretty risk adverse, and the idea of change terrified me. Las Vegas was a huge surprise in a lot of ways, and has had a really positive influence on my work, social confidence, and perceived capabilities. The community here (particularly downtown) is full of incredible people, and it’s clear to see that Las Vegas is not just a transient tourist town. A year came and went, and I’m still here! How hard was it finding a job in the US and relocating? There’s not exactly a shortage of jobs to apply for in North America, especially in the tech field. The catch is being allowed to reside here. The US can be a tough nut to crack, immigration speaking. I am lucky enough to work in what is identified as a ‘specialised’ industry (web development/programming). This makes me eligible for a work visa and I can renew it as many times as I like. It can be tough finding a company willing to sponsor a non US citizen, but they are out there. Zappos were a wonderful help with the immigration process, and everyone involved made sure that I was supported in the months leading up to starting there. Relocating was a rather simple affair. I got rid of most of my possessions in Melbourne, stored the rest and packed the essentials into two suitcases. A rather humble new beginning! America is a fascination country to relocate to. Everything feels the same and different simultaneously. 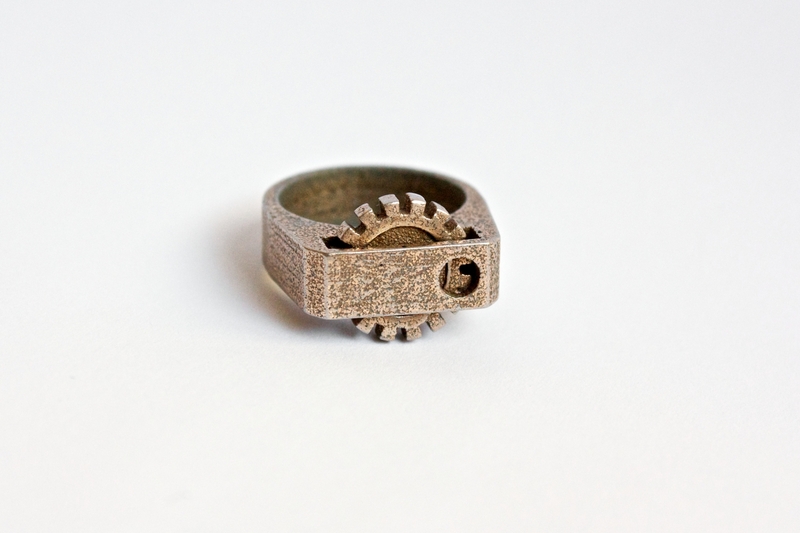 You love 3D printing – why is it a big deal and how can people get started? I am so glad you asked! 3D printing is revolutionising the way we think about design, manufacturing and intellectual property. It’s putting power into the hands of those who previously had no access to custom manufacturing – to produce anything they can dream up. I use it mainly to produce jewellery and ceramic ware, but the uses are endless. Imagine being able to print everyday useful objects from your kitchen table when you need them. Imagine being able to repair things that you could not locate spare parts for in the past. People are having shattered jaws replaced with custom 3D printed ones, and walking around on 3D printed prosthetic legs (printed as one piece, moving joints included). It’s also quickly becoming a hot political topic which is fascinating to read and think about! There are plenty of ways to get started. There are home printers you can buy such as a Makerbot Replicator, or you can use online 3D printing services such as Shapeways. A quick Google search can uncover 3D printing classes being taught in many cities around the world. 3D modelling software such as Autodesk 123D, Tinkercad or Google SketchUp make it easy to get started designing objects. If 3D modelling is not your thing, you can browse through Thingiverse and download something to print instead. If you’re interested in following the 3D printing movement online, I recommend reading Public Knowledge’s whitepaper ‘It Will Be Awesome if They Don’t Screw It Up‘. You can also subscribe to 3D Print Weekly, a mailing list which hand picks the most interesting news and designs and delivers them your inbox. 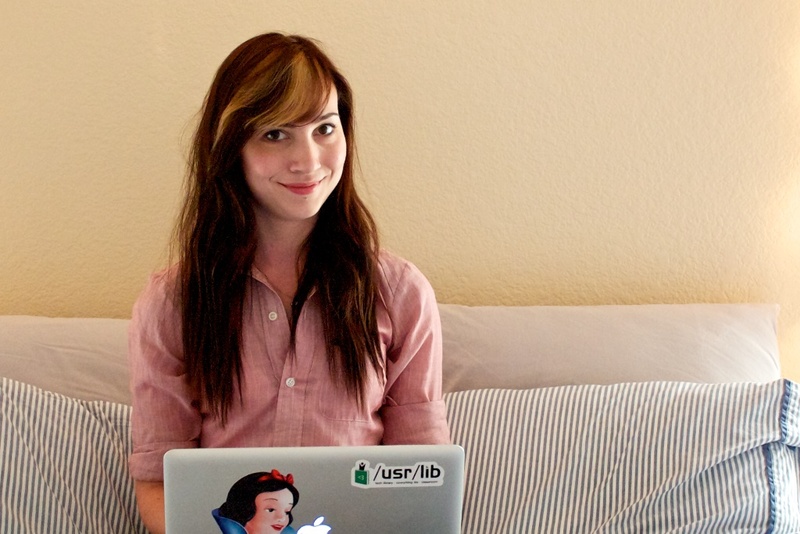 You’re a front-end developer and female – what are your thoughts on the women in tech? The more the better! The tech field is still seeing a decline in women entering it, despite efforts to help the situation. On a macro level, my dream is for women to no longer be seen and treated as a novelty in the STEM fields. For the gender of someone to bear no relevance to their job position. Everyone should feel welcome and capable of pursuing any career they like. It’s my belief that to achieve this, we need to start on a micro level. Encouraging and enabling more women to consider a career in tech aims to create gender balance in workplaces. I’m hoping that better gender balance will create an environment free of stereotyping and double standards that are apparent in some tech related environments. For the most part, tech is such a fabulous and rewarding industry to be a part of, so it can only get better with the amazing people out there supporting this movement. You’ve ofter hosting craft days and blog at Owl Posse, what do you like about making things? Making things is my favourite form of personal expression. The exciting challenge of converging form, function and cost into something people will use, wear or play with is something that keeps me awake a lot at night! Thoughtful design is one of the most beautiful and inspiring developments in our modern society as humans. No person makes in exactly the same way, just as everyone sees the world through a slightly different lens. 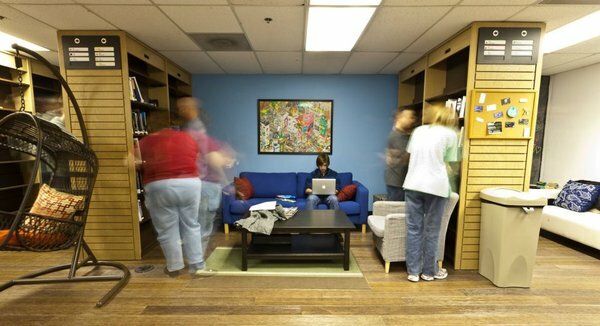 What’s it like to work at Zappos? Can strong culture turn cultish?! Zappos is the kind of company that you enjoy getting out of bed in the morning for. Casual dress codes (pyjamas are allowed), no corner offices, nerf dart wars, and a genuine supportive culture is just the beginning of what you can expect when working for Zappos. It’s an incredibly humbling experience to work alongside so many smart people who are perfectly lovely and genuine (still wondering how I managed to trick them into hiring me). You do feel that you belong to a big family. From the outside, after listening to starry eyed Zappos employees gushing about the company it can seem a little cultish, which is understandable! In order for good culture to survive though, everyone needs to rally and help protect it. I prefer to think of it as pride in your work and the thankfulness for your circumstances. What are some of the spaces and meetups to check out in Vegas? Downtown is mainly where it’s at! We’re currently revitalising that area of town, and because of that events and cool spaces are popping up all over the place. /usr/lib – tech library, co-working lite and classroom. Fabulous place of learning, complete with faux bear rug and chalkboard wall. I want to continue designing for my 3D printed jewellery line, Owl Posse. I just launched a weekly 3D printing newsletter, and I’m working with a team to help open a new venue for our SYN Shop hackerspace. There are a lot of exciting things to be involved in at the moment. I still have unfinished business in Las Vegas, so I’m happy to still be here for a while yet. I’m trying to embrace the scary new notion of not having a plan, so who knows where I’ll be next!